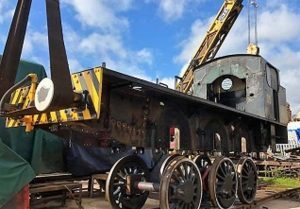 Southern Locomotives Ltd has released a full update on the work they are completing on locomotives (either in service or undergoing overhaul). The big news comes as 34072 257 Squadron has been commissioned and is now in service. 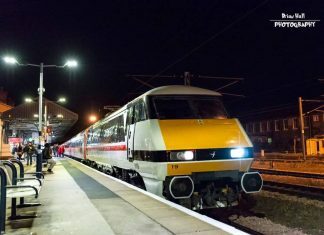 This overhaul, albeit more like a restoration, took the group around 5 years to complete which was mainly due to delays in the boiler repair and the difficulty of commissioning a locomotive on a working railway. The focus has now turned to the completion of Eddystone’s overhaul and enjoying seeing The Squadron in service. 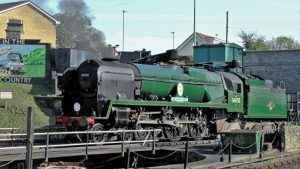 It’s a lengthy update, so sit back and learn the latest from Southern Locomotives Ltd.
34072 has now made its first trip up the line in steam on the evening of 9th August 2018. Following minor repairs, it made further trips and was accepted into traffic on the 11th October 2018. This meant that it made the Swanage Railway’s Autumn Steam Gala alongside Black 5 44871 and LMS Duchess 6233 ‘Duchess of Sutherland’. 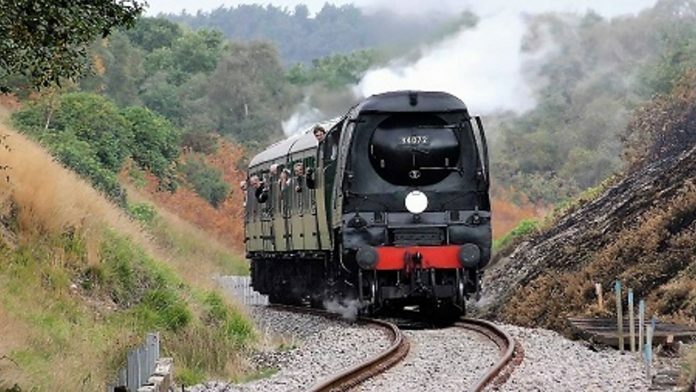 This also means that after a gap of a year or more, an original Bulleid Pacific is now in service at the Swanage Railway. 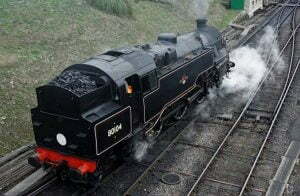 34053 Sir Keith Park was another locomotive to return to steam in October. 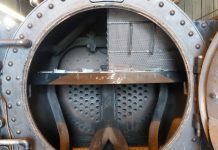 This return to steam was following issues with the middle connecting rod big end. 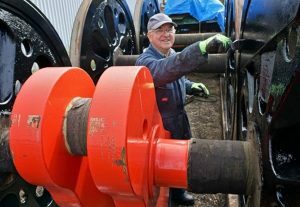 In fact, Eddystone’s coupling rod was used to give the team more time to inspect the bearing and make the repairs needed. 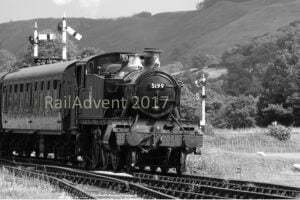 Working with the Swanage Railway, Southern Locomotives Ltd is continuing to keep an eye on 34053’s bottom end. At the time of writing, it is not clear whether the noises it emits are a result of a loco which has run 50,000 miles since it was first outshopped or a sign of something needing more urgent attention. 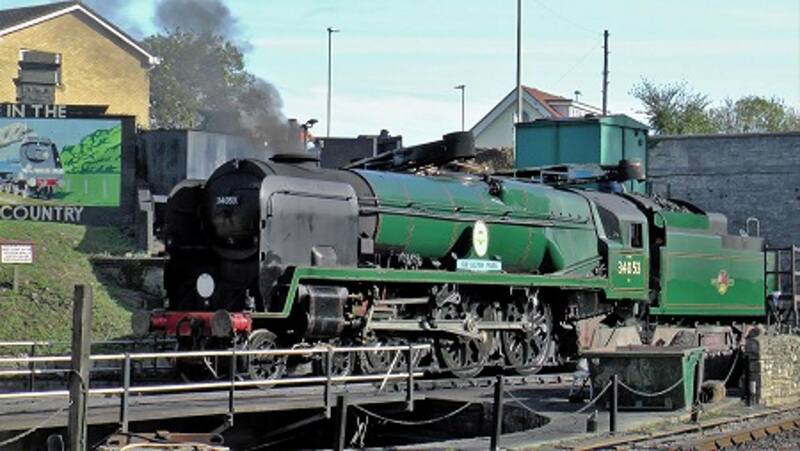 With 257 Squadron back in steam, the focus has turned to the overhaul of 34028 Eddystone. 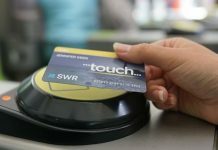 Progress has continued in all areas, with the expected completion of the overhaul to be in the second half of 2019. It has been decided that they will reline the middle piston valve. The liners currently used are close to the minimum and they aren’t expected to last a further 10 years. SLL work on the basis that any work that can be done before the boiler goes on should be done first as it becomes a lot more difficult once the boiler is back in. This, therefore, means more expense to the group, so if you can help, it would be most appreciated (more information here). All of the locomotives main springs have been hung with pins, washers and split pins. 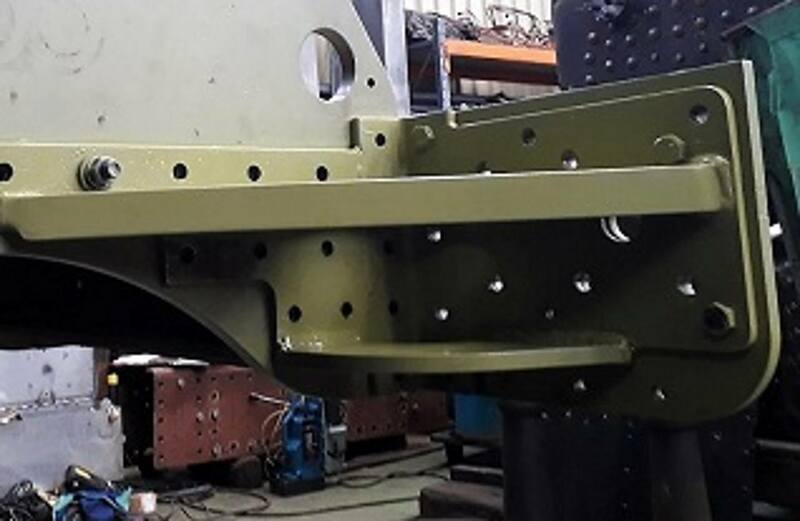 The axle box has been installed – these help keep the horn guides secure. 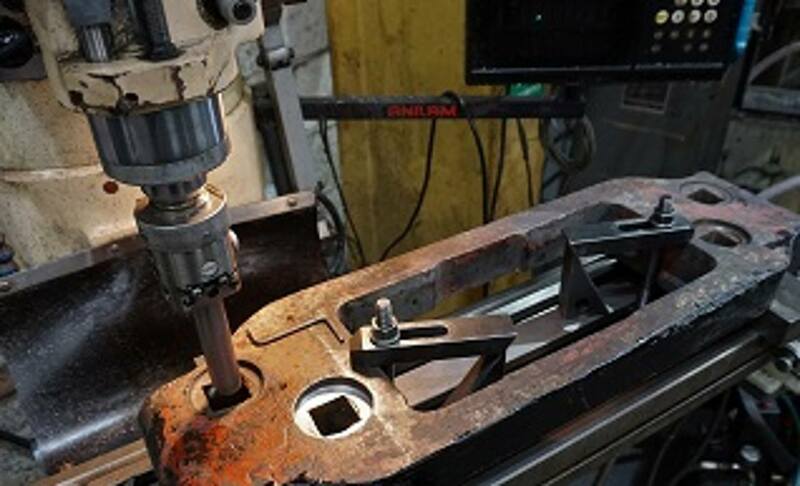 The bolt surfaces have been machined by Bailey, who has also made new washers to fit the gap to the split pin. The springs are then attached to the frames using large pins with a slot in the top and a thread at the bottom. A new set of pins are being made by Neville, with three holes needed to be machined into a slot. 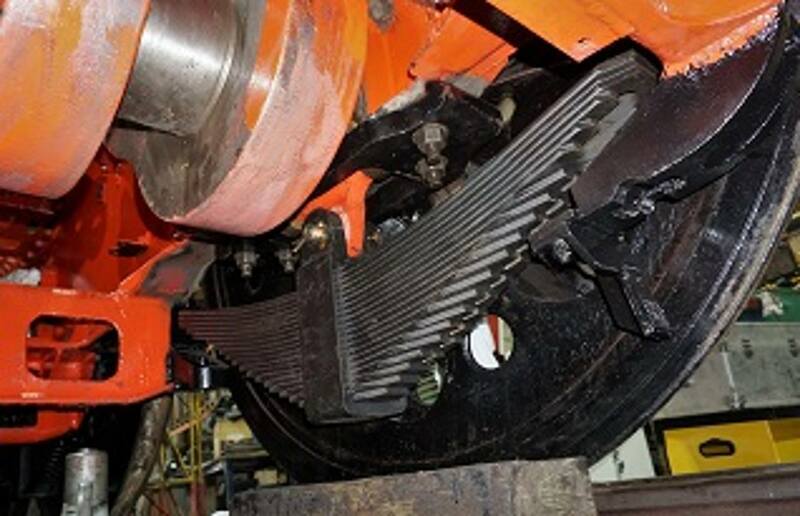 The rear pony truck of the locomotive was removed to allow the overhaul of its centering mechanism – this controls the sideways movement of the wheels when the locomotive goes around a corner. 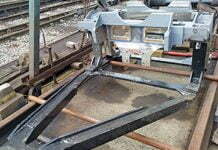 To remove this, the chassis had to be backed beyond the end of the rail section so the pony truck could be lowered down. More information on this piece of work can be found here. The keeps clamp across the bottom of the horn guides that reduces frame showed signs of wear on the seating of the nuts so they were machined true and new washers were made. Repairs to 34070 Manston’s front frames are now nearing completion. This work has been carried out under the insurance claim. 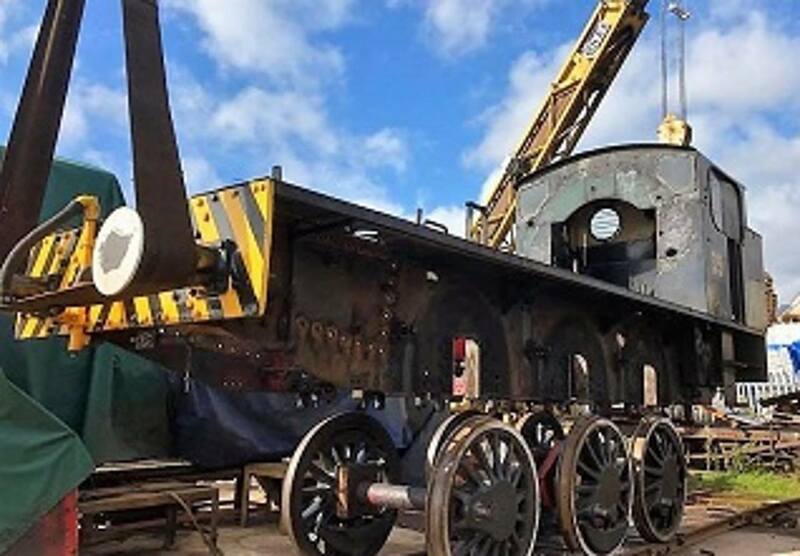 The next step will be to overhaul the bottom end, which is most likely going to be completed at Tyseley Locomotive Works. Southern Locomotives Ltd will need to pay for this, which is going to be difficult to find whilst Eddystone is being overhauled. If you can help, it would be most appreciated (more information here). Willie Bath has been busy and has produced a list of all the parts that Southern Locomotives Ltd have for Sidmouth. Those that the group have as castings for machining, and those that they don’t have. Currently, there is quite a lot in each category. 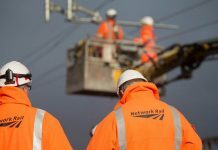 The group are awaiting results of the examination that is taking place at the North Norfolk Railway. However, so far, it seems it might not be as bad as expected after 50 years. Standard 4 tank 80104 required some attention to cracks in its copper firebox before it could take part in the Swanage Railway Autumn Steam Gala. However, it made it and is seen below leaving the yard on the 12th October. Work on Norman has progressed at Bryn Engineering. On the 23rd September 2018, the locomotive was lifted off the axle boxes. Meanwhile, new valve faces are being fitted and are being machined. The axle boxes and horn guides will need attention. Standard 4 tank 80079, which was owned by Southern Locomotives Ltd, is currently visiting the Swanage Railway for a few weeks. It has already taken part in the Autumn Steam Gala and will also be visiting the Mid Hants Railway during its visit to the South West. 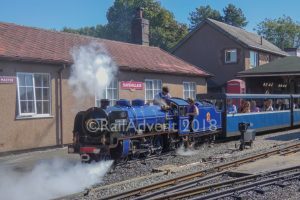 Southern Locomotives Ltd’s 2018 AGM was held at the Mowlem Building on 29th September 2018. Nearly 30 shareholders were present plus five directors of the company. 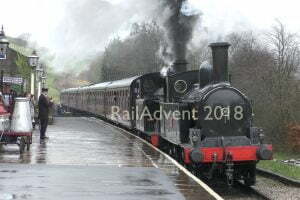 The usual resolutions were passed, while Willie Bath gave a review of the status of their loco fleet. 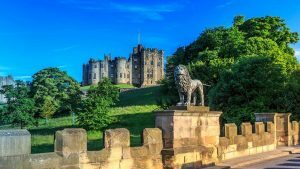 Their current priority is the completion of Eddystone’s overhaul and they are now gathering the funds for the next project, the overhaul of Manston when repairs have been completed. 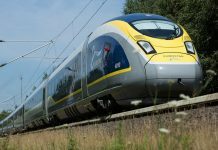 SLL’s Bulleid bibliography has a list of over 30 books focused on Bulleid Pacifics, but of course, there is room for even more. Nigel Kendall’s first sight of the railway was at New Milton in 1960 as a teenager. He then spent the next seven years photographing steam. His new book, aptly named ‘Bulleid Pacifics’ includes a new selection, most of which have not been seen before. 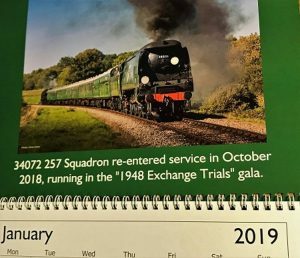 Once again, Southern Locomotives Ltd has a calendar for sale will photos ranging from the 1960s to today. The calendars cost £10 each, including UK P&P. If you’d like one, please email [email protected] and SLL send you payment details. This season’s gala had a 1948 Exchanges theme. 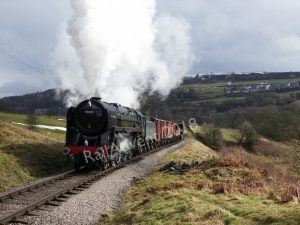 Three Southern Locomotives Ltd locos, 34053, 34072 and 80104 were in action. Two Bulleid Pacifics in action should be quite an attraction for any gala. SLL has been given a brass steam whistle by a Sidmouth resident to raise money for the locomotive. It is a GWR style whistle but has no lettering and is more than likely come from a factory, boat or traction engineering. The group are now looking for offers for the whistle, if you interested in making an offer, then please email [email protected]. Graham Briggs has produced many commercial DVDs of railway topics under brand G B Productions. Many supporters of SLL are among those that have provided him with footage in the past. His next project will focus on the fleet of locomotives that SLL has. He will make a contribution to SLL for each copy sold. If you can help, please email Graham at [email protected].